Work related to construction of the new Champlain Bridge will occur largely in an urban setting, close to where people live and work. This is why Signature on the Saint Lawrence is working closely with the administrations of the various municipalities bordering the worksite. Together, we are identifying the community issues, expected work-related impacts and planned mitigation measures. 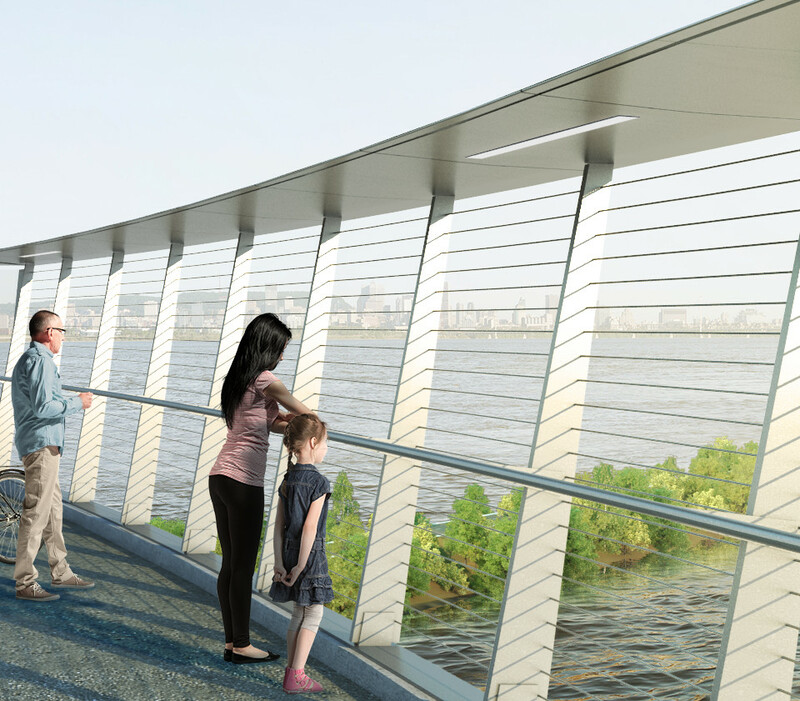 Signature on the Saint Lawrence is committed to conveying project-related information to citizens throughout the work. Among other things, we will be holding public information meetings for the neighbouring communities and establishing good neighbourly relations committees that will facilitate dialogue and help create links between citizens and the people of the Signature on the Saint Lawrence team. Visit the “Citizens’ Forum” then Verdun / Sud-Ouest, Île-des-Soeurs or Brossard tab to learn more about the work that will take place near your home. Please contact us at any time to ask questions or to share comments or complaints.